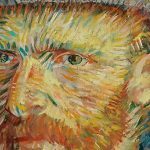 Joyce Glasser reviews Vincent Van Gogh: A New Way of Seeing (March 20, 2018) Cert. PG, 96 min. Exhibition on Screen – Wednesday March 20th 2018 at selected cinemas. 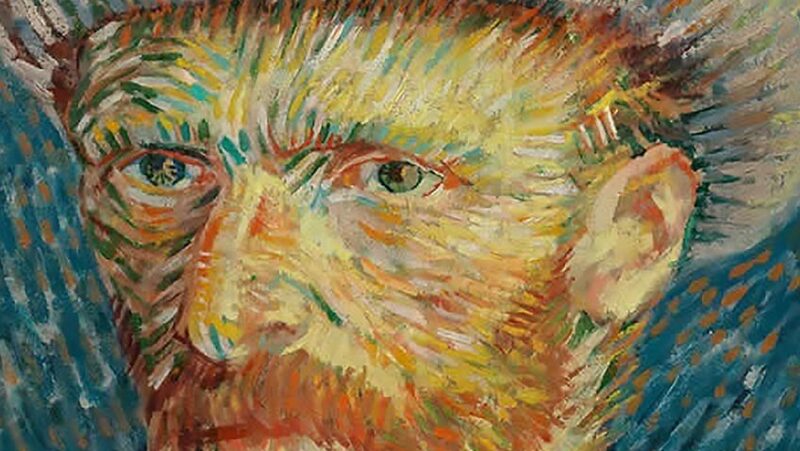 This informative documentary focusing on the life of Vincent Van Gogh was first released in 2015 to commemorate the 125th anniversary of his death, combined with a re-hanging of the Van Gogh Museum in Amsterdam. It is being re-released this Wednesday, perhaps to coincide with the April 4th launch of the London- to-Amsterdam Eurostar service. While Vincent Van Gogh: A New Way of Seeing might be the most comprehensive chronicle of the artist’s fascinating life that we have on film, complete with paintings and original footage documenting the many places in which he lived, it falls short of showing us how Van Gogh’s art represented a new way of seeing. The Van Gogh Museum, which opened in 1973, holds the world’s largest collection of Van Gogh’s paintings, drawings and letters. Most of the letters are the glorious, insightful and heart-breaking correspondence between Vincent and his art-dealer brother Theo whose great-grandson, Vincent Willem Van Gogh is one of the many highly- qualified speakers guiding us through the film. As Mr Van Gogh explains, when Theo died at age 33, six months after Vincent, his widow Johanna was left with a baby and 450 paintings and hundreds of drawings. Johanna started to read the correspondence and fortunately recognised their importance in documenting Vincent’s development as a self-taught artist. Johanna’s and Theo’s son, Vincent Willem turned his back on his namesake by becoming an engineer who regarded art ‘as a sort of sorcery that was not for me.’ While Vincent Willem could never share his mother’s passion for his uncle’s art, after his retirement, he dreamt of establishing a museum to house the collection he inherited. Vincent Willem died age 88, five years after his dream was realised. For the re-hang, the museum decided to place 12 self-portraits in the first room both for impact and as a foreshadowing of the different periods of Van Gogh’s life. This makes sense at it is a museum named after a particularly introspective and sensitive painter, and it is right to group together the great paintings that show us how he saw himself throughout his life. Nienke Bakker, Curator of Paintings, tells us, ‘we asked why Van Gogh is so important. What is it in his art that appeals to our emotions so much – what did he want to say about his art.’ The film does not really answer that question, but the reason why the museum gets 1.9 million visitors a year is that the art itself – of which there is plenty in director David Bickerstaff’s film – speaks to us. In the case of Van Gogh, it would be impossible to pretend that we are separating the art from the tragic life. Finding a way into the painting through the man’s life is fair game as a great deal of what we know about Vincent comes from his letters, which are as expressive and beautiful as are his paintings. Axel Ruger, the museum’s director points out that Van Gogh is ‘not an isolated genius who fell from heaven. He painted in a context and was inspired by others. 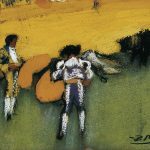 We wanted to show what made him a painter of his time and what made him special.’ The documentary does a good job of tracing his influences and of showing us how Van Gogh adapted the styles of the day – the Barbizon School of Daubigny and Jean Francois Millet whom he greatly admired; impressionism and Signac’s pointillism; the influence of Japanese art; and the post-impressionism of Toulouse Lautrec (who introduced him to Bohemian Paris) and Cezanne and, famously, Gauguin, who was reacting against impressionism. The documentary also mentions an anomaly that few of us have ever thought about. While we all refer to the artist by his family name, he signed his paintings with his first name, following the example of Michelangelo and Rembrandt. We can ask ourselves why we feel comfortable calling Rembrandt by his first name and not Vincent. Vincent Willem van Gogh, the eldest of six surviving sons, was born in 1853 into a middle class Dutch Reformed protestant family in Groot-Zundert, a rural Dutch village in a predominantly Catholic area near the Belgium border. After being schooled by his mother (who taught him to draw) and a governess, he was sent to a boarding school where he felt abandoned. At school he learned languages, took long walks and read profusely which he continued to do. At 16, he was offered a position at his uncle’s art dealership, Goupil & Cie, and in 1873 – the happiest year of Vincent’s life – he worked in the company’s London office. 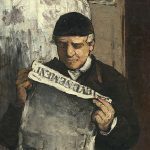 After being rejected by his landlady’s daughter, he became more isolated and religiously zealous until he was transferred to the Paris office. Ultimately, though, the stimulation of the big city and the people- skills required in art sales were more than Vincent could handle. Eventually, he decided to become a preacher like his father. He ended up at the Borinage – the coal mining district outside of Brussels. The congregation and community rejected him and it was at this low point in his life that Theo suggested that he try his hand at art. The film emphasises that Vincent equated teaching himself how to paint with the Protestant work ethic. It was his duty to show through his art that he was worthy of God. The whole concept of the art market upset him, as he believed it was for God alone to reward the artist. A letter to Theo on display in a tiny museum in the Borinage, a few kilometres from Mons, Belgium requests a copy of Millet’s The Sower, which for Vincent held a religious significance in its celebration of nature and manual labour. The film opens on one of his Vincent’s many ‘wheat field’ paintings. It is possible to follow the progression of his palette from the drab Wheat Sheaves of 1885 to the vibrant colours of the fields at the mental asylum in St Remy and to the intense Wheat Field with Crows painted in Auvers-Sur-l’Oise. He wrote to Theo: ‘There are vast stretches of wheat under troubled skies, and I did not have to go out of my way very much in order to try to express sadness and extreme loneliness…’ This was Vincent’s final painting before his death from a gunshot wound, believed to have been self-inflicted, on 29 July 1890.